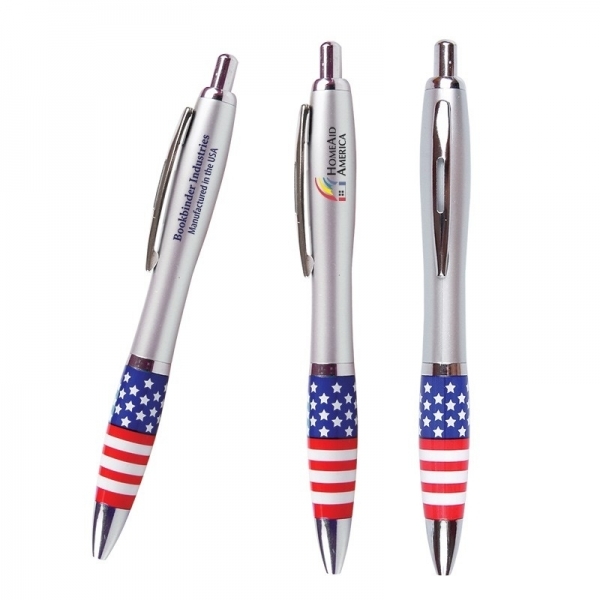 Retractable curvy plastic barrel ballpoint pen with patriotic theme American flag stock art grip. Features metallic silver accents. Click-action mechanism with high quality, black medium point ink. 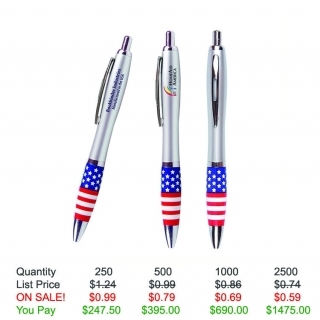 This pen comes with Free Setup, Free Artwork and Free Shipping. 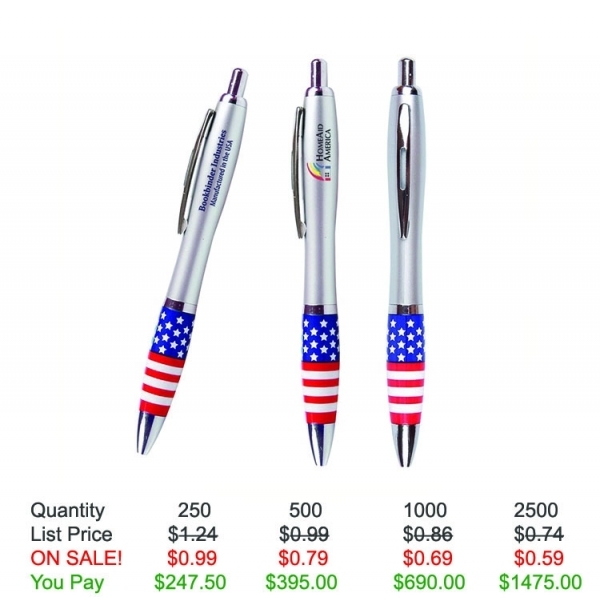 Item Color: Silver, with Red White and Blue. Shipping Weight: 18 lbs. per 600 - FREE Shipping! 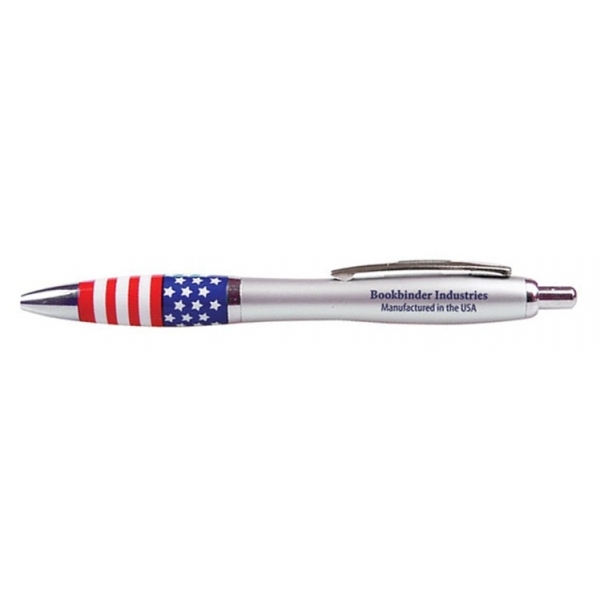 Hey NeedPens Team, We absolutely love our USA Pens! They went over so perfect for our Mom and Dads 30th Anniversary that we had over the 4th of July! Their names and special date will now forever be engrained in everyone in our families households! You guy's were great from start to finish and we will definitely use your services again if something else pops up! Thanks again from all of us!